C.I.B. 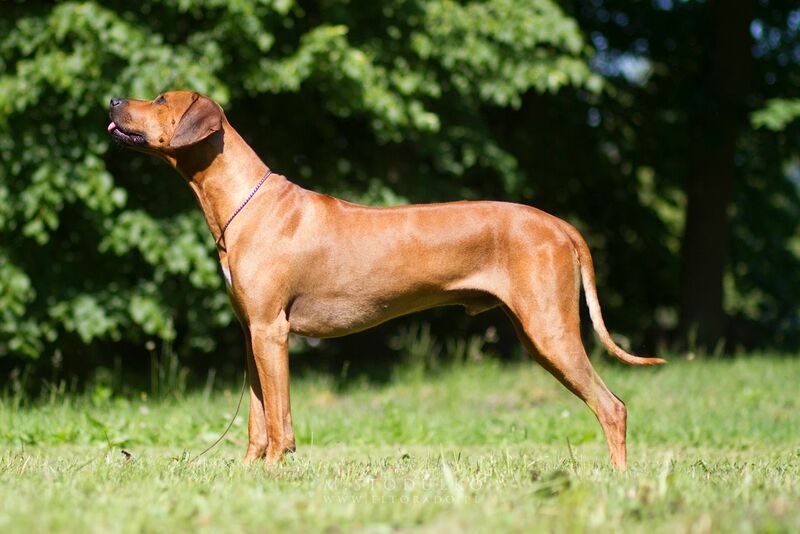 Ch.Pl, Lt , Club Winner KRGS `17J Ch Pl, JDV`14Homer Pręgowce z Jasienia was born on 21.12.2013. 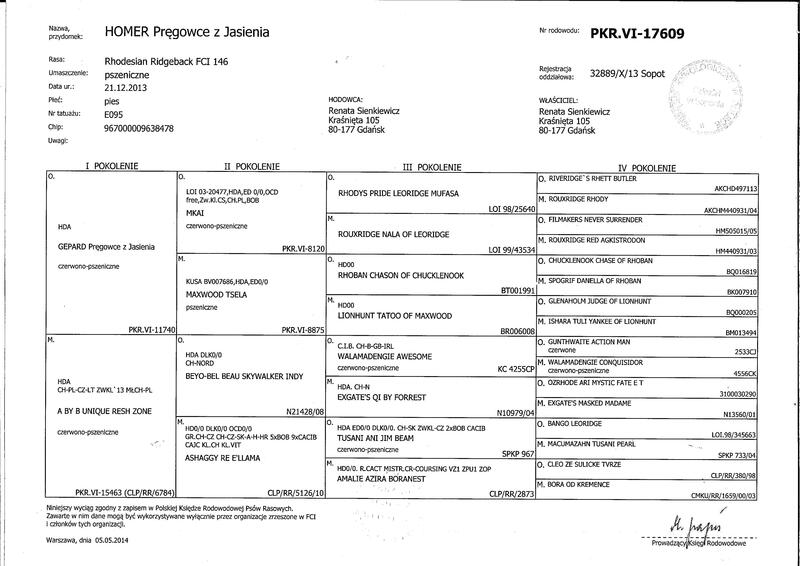 He is son of our Bora ( A By B Unique Resh Zone) and Nazir (Gepard Pręgowce z Jasienia ) . He grows as a very correct male – his head, angulation, size, movement are very well balanced . He got excellent notes on the show – he is very promising boy. 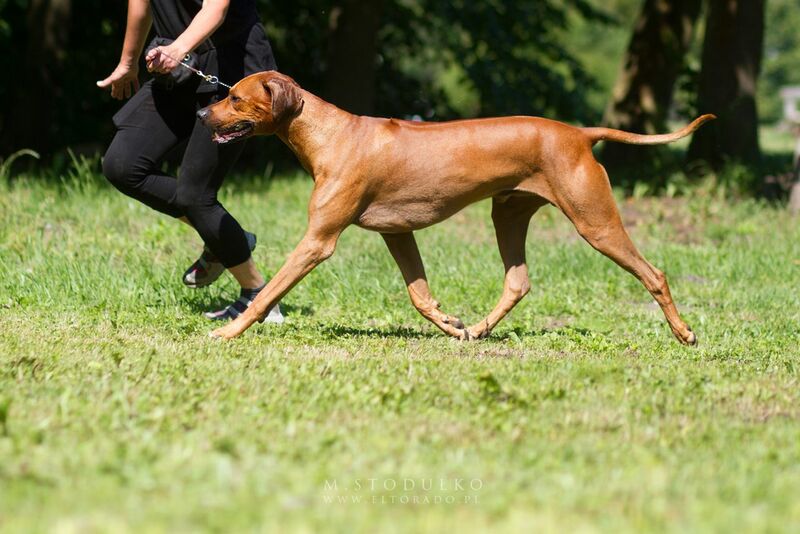 Lately he achieved the title of Best Junior in Breed ( Poznań 2014) and in Denmark – Dannish Junior Winner 2014 ! Today he is also candidate to the Austria and Croatia Champion title, Czech, Slovak and Slovenian Champion title. Besides the shows he is the great life companion. He loves long walks, playing with other dogs, enojoy company of the horses. His latest X-rays confirm that HOMER is healthy dog ! HD A/A, ED 0/0, LTV – free, SP- free, VA – free . He has normal level of thyroid hormon. He also is non carrier of Juvenille Epilepsy and Degenerative Myelopathy (DM). He is heterozygotious for Dilute – D/d. 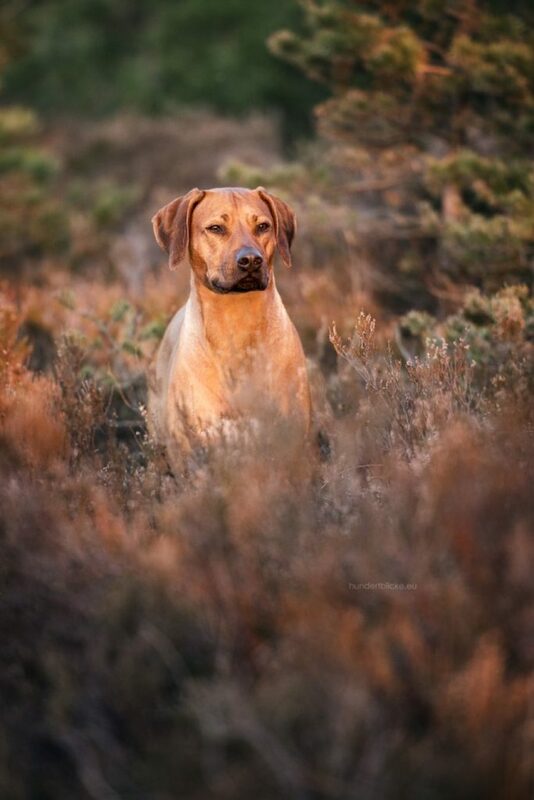 He passed official Mentality exam of Polish Kennel Club. We are so happy having him !